How much is your Gmail Account Worth? 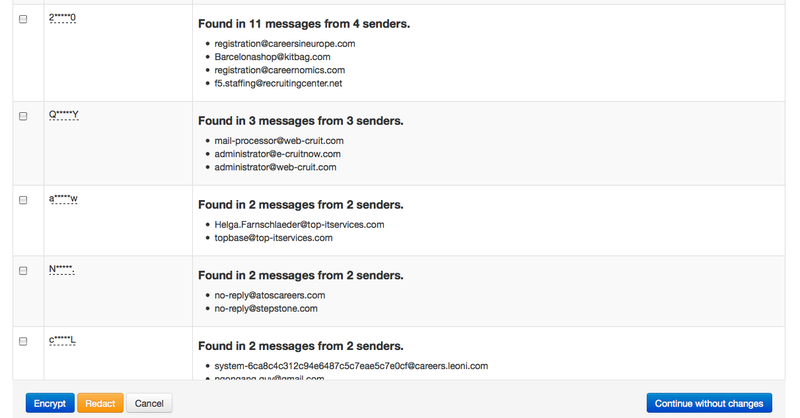 Many emails account are hijacked everyday. Cybercrooks are selling those compromised accounts in the black market. If you are using Gmail , then there is an auditing method of knowing its retail price on the underground. 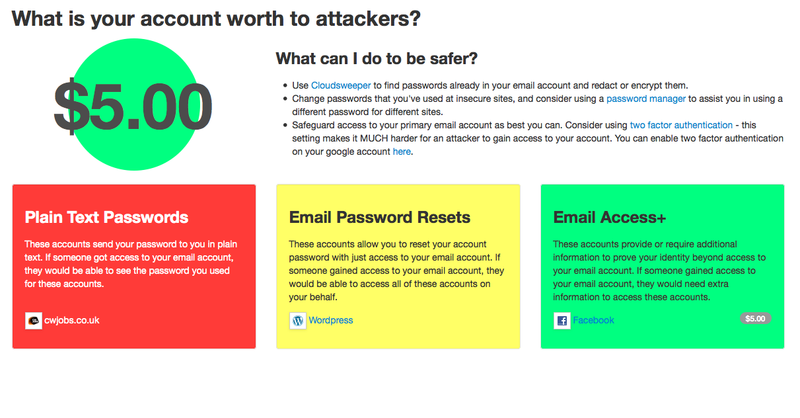 The university of Illinois at Chicago has created a Gmail account audit tool called Cloudsweeper. As seen in the picture above My account is worth $5. It has also helped me finding plain text passwords which were sent to my email. The tool rocks and is worth trying.